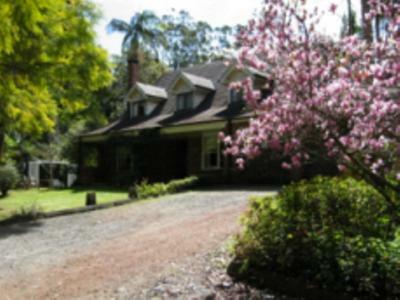 Lock in a great price for Curtis Falls Mountain Spa Retreat – rated 9 by recent guests! The host Richard was very welcoming and provided a delicious breakfast. Lovely hosts, delicious breakfast, very peaceful. The hosts Richard and Elizabeth were just the best. the location was perfect. I wrote in the guest book that I would not go anywhere else and will enjoy a return visit some time. Relaxing and cosy room. Central location. Warm host. Very comfortable bed. Location a short walk from the gallery walk, quiet, and easy to find. Close to Joalah bushwalk. Richard and Elizabeth are great hosts and the breakfast is perfect size to get you started in the day. 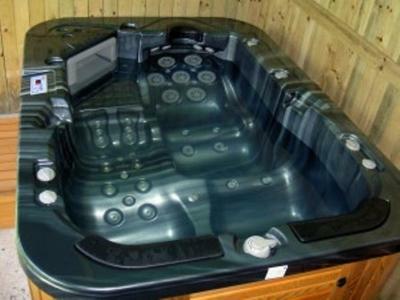 Curtis Falls Mountain Spa Retreat This rating is a reflection of how the property compares to the industry standard when it comes to price, facilities and services available. It's based on a self-evaluation by the property. Use this rating to help choose your stay! 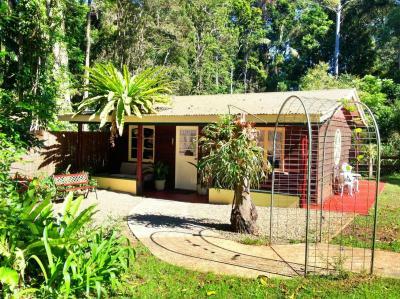 One of our best sellers in Mount Tamborine! Curtis Falls Mountain Spa Retreat is 2,300 feet from the Gallery Walk, and a 20-minute drive from the Gold Coast theme parks. This luxurious 5-star retreat offers hydro-therapy spa treatments, free on-site parking and free internet in public areas. Guests enjoy a free breakfast and a free glass of wine each evening. 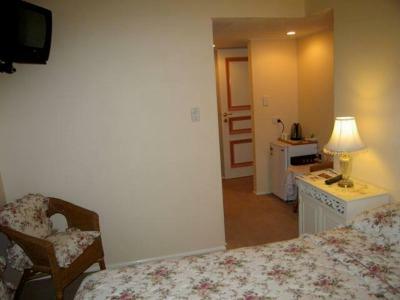 Guest rooms offer a large LCD TV, a DVD player and a large bar fridge. 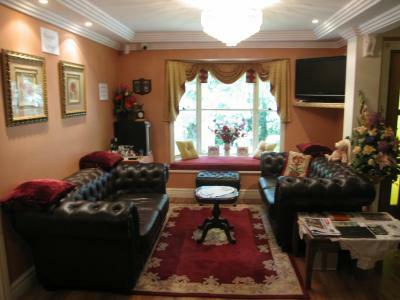 Other amenities include a microwave and tea/coffee making facilities. 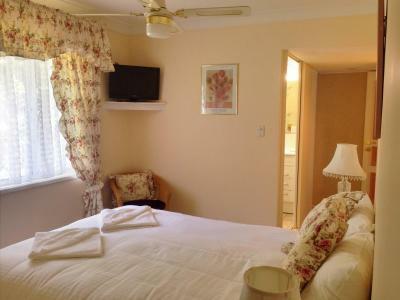 All suites and rooms have an en suite with toiletries and a hairdryer. 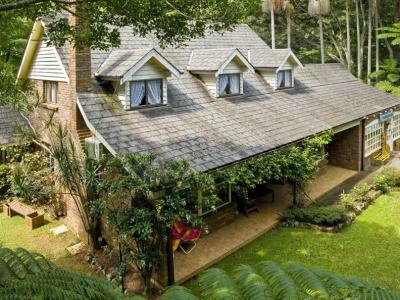 The staff at the tour desk can assist with arranging trips to attractions such as Tamborine Mountain Cheese Factory and the Tamborine Mountain Secret Garden. The Curtis Falls Mountain Spa Retreat is located adjacent to National Park. 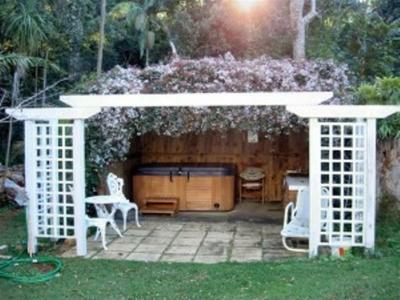 It is a 45-minute drive from the Gold Coast Airport and a 1-hour drive from the Brisbane Airport. When would you like to stay at Curtis Falls Mountain Spa Retreat? 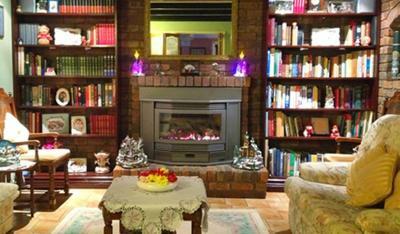 Room is fitted with a DVD player, a flat-screen TV and a bar fridge. It has an private bathroom. 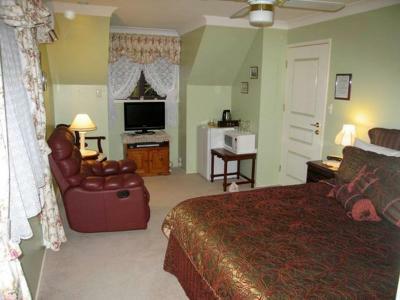 Grand Roman-style suite has a lounge area with a leather recliner. Fitted with a DVD player, a flat-screen TV and a bar fridge. Overlooks the front of property, into the National Park. Spacious suite comes with a leather recliner on plush Royal Blue Carpet. Fitted with a DVD player, a flat-screen TV, DVD player and a bar fridge. Features views of the garden and the rainforest. This private free-standing cottage has air Conditioning, LCD Television, DVD, Bar Fridge, Microwave, Tea and coffee making facilities and views across the garden. House Rules Curtis Falls Mountain Spa Retreat takes special requests – add in the next step! 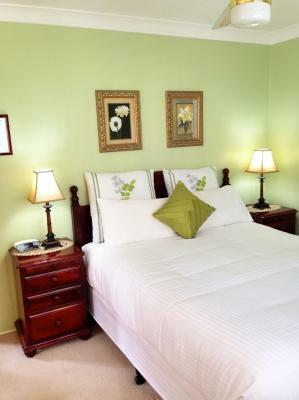 One child or adult is charged AUD 60 per person per night in an extra bed. Curtis Falls Mountain Spa Retreat accepts these cards and reserves the right to temporarily hold an amount prior to arrival. Please note there is a 3.5% surcharge applies for all payments made with American Express credit card. 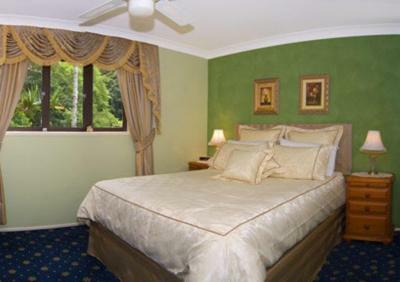 For $235 for one night over the Easter weekend I expected a luxurious experience. The room was very pokey and the bathroom outdated. If I had to pick anything, it would be that the bed was a little too firm for us. very comfy bed, breakfast was amazing! The tiled shower cubical had a very slippery surface when wet, yet no grab rail was installed. Something to consider? Richard was amazing. Such a friendly host and just a very sweet man. We also loved his dog Tammy who was so sweet and played around with us when we checked in and while we had breakfast. Richard served breakfast as well and we had a nice conversation with a couple who was visiting. This isn't a five start resort by any means, but we weren't looked for a place like that and it completely lived up to the expectations!